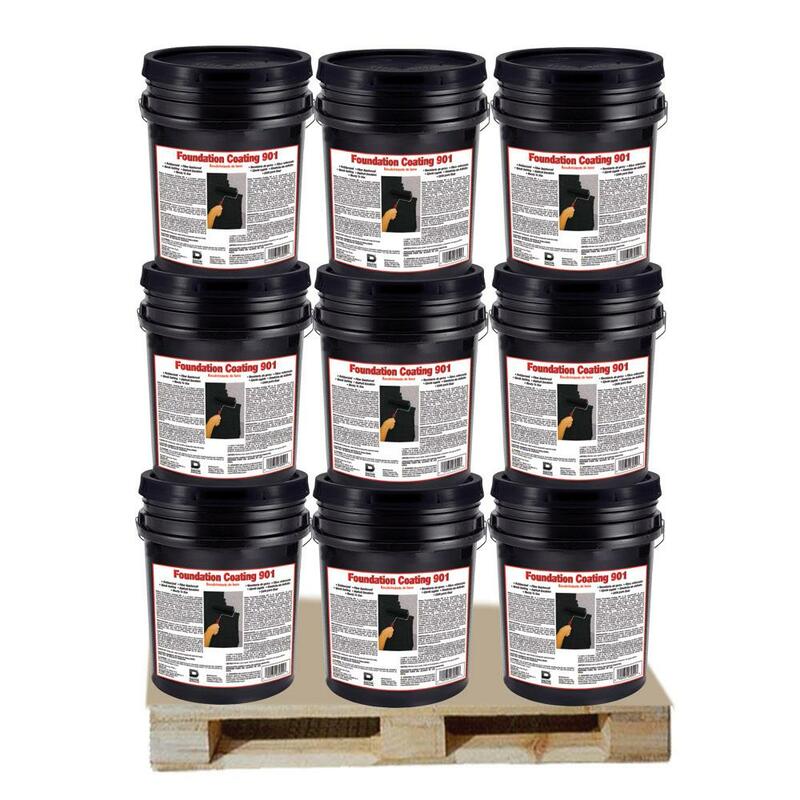 Description: Dalton Foundation Coating #901 is an asphalt emulsion based general purpose dampproofer designed for exterior use in above and below-grade applications. Dalton Foundation Coating is an advanced formula that contains polymer additives for long lasting strength and flexibility. #901 is asphalt based and contains a durable blend of rubber and reinforcing fibers to provide a strong, flexible, crack resistant, waterproof seal. Dalton Foundation Coating #901 has exceptional adhesion to masonry surfaces. Low odor and will not burn or support combustion in a liquid state. 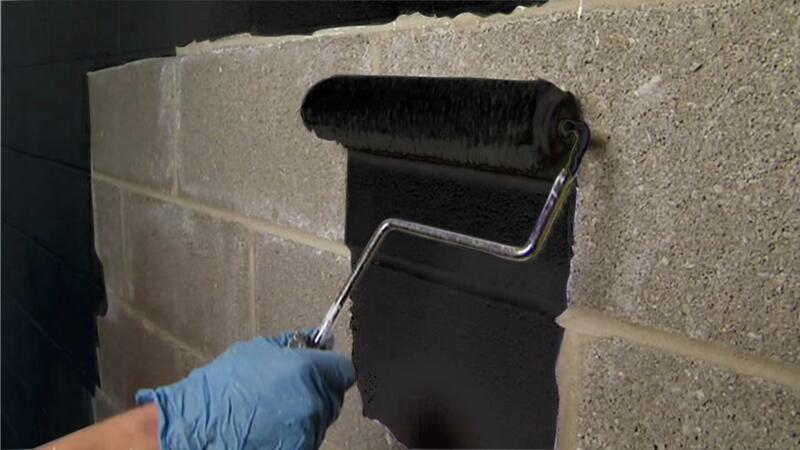 Product is black in color and we recommend using a roller to apply (You can use a 3 knot roofing brush as well). 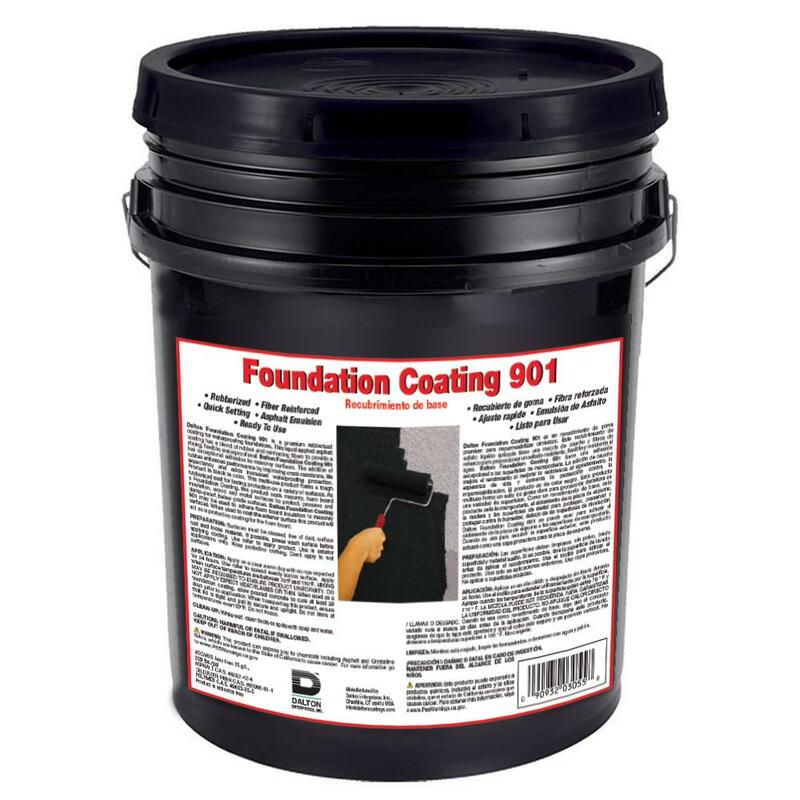 Dalton Foundation Coating #901 is a premium, cold-applied, rubberized coating for waterproofing foundations. This liquid applied asphalt coating has a blend of rubber and reinforcing fibers to provide a strong, flexible, waterproof seal. 3055 5gal pail 52 lbs. 3055P 55gal drum 525 lbs.